Halloween is a great holiday—who wouldn’t love a day where the sole purpose is to scare your friends and your neighbors? Cue the fake blood and animated skeletons! As the day approaches, however, please don’t forget about pet safety. 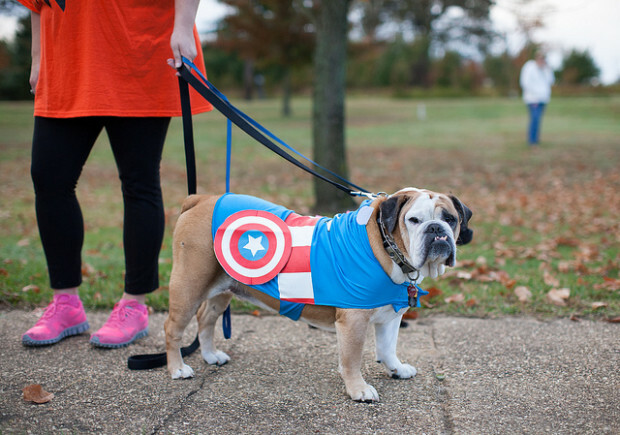 Keep in mind that the treats you’ll bring home aren’t meant for your cat or dog, and no matter how much you squeeze your furry friend into his or her Batman or Wonder Woman costume, they may not love it as much as you, even if they look extremely cute. To keep your dog—or cat—safe and healthy this year, here are some steps you can follow. 1. Keep your pets indoors. We don’t care if your pup makes the perfect undead zombie among your front yard tombstones and spider webs, keep him or her inside for both their safety and the safety of others. 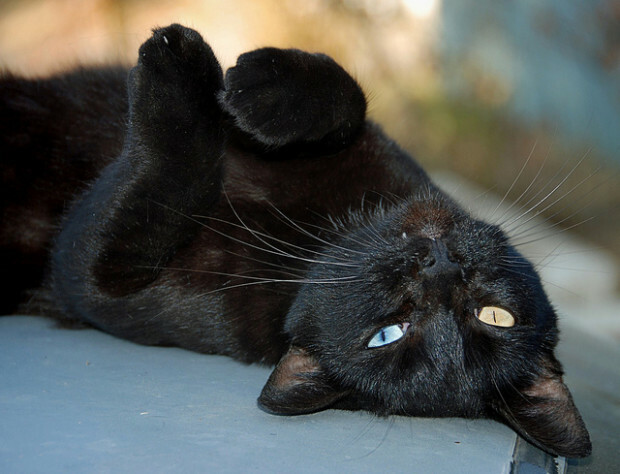 It is not uncommon for pets to be taunted, stolen, or even killed on Halloween night (especially black cats) and not all people who may be walking past your house are comfortable with pets. It is in the best interests of all involved to just keep them indoors and even away from the door if you’re treating the neighborhood kids. 2. Leave the tricks for the pets—not the treats. This one should go without saying. Chocolate poisoning is a very real risk for all pets, so don’t let them have any tastes of your—or your children’s—trick-or-treating stash. Don’t leave it in a place where your pet can get to it while you’re not looking, either. It’s not only the chocolate that can be dangerous to dogs, but artificial sweeteners like Xylitol as well, causing a rapid drop in blood sugar and subsequent side effects, such as vomiting, muscle tension and seizures. 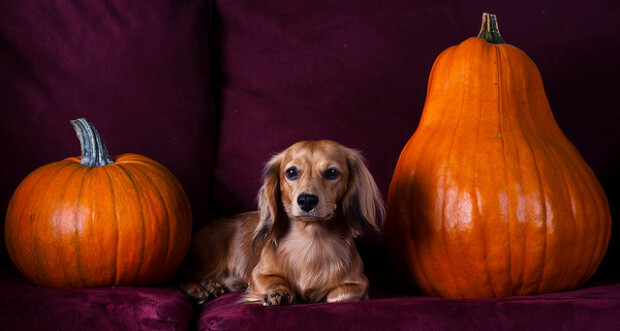 While the guts of your pumpkins are generally safe for canines, it tends to be a bit less safe as the pumpkin ages on those neighborhood stoops—or if Fido eats an abundant amount of the fresh stuff. Keep an extra eye on your pup during your neighborhood strolls this season to make sure he or she doesn’t develop a craving for those sagging gourds. Also, you may want to consider an LED candle instead of a real one inside your exquisitely crafted jack-o-lantern in order to prevent any burnt fur. While that complex plate of spaghetti costume may look ballin’ (sorry) on your pet, make sure it doesn’t have any loose pieces that could become choking hazards. Check the material for any fabric that could cause an allergic reaction, and of course, test it out before the big day to see if it fits correctly. 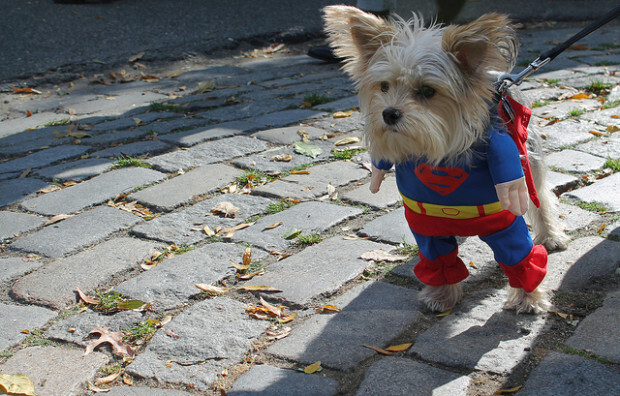 The best costumes for pets tend to fit like sweaters or harnesses, without restriction of the head, neck, or limbs. 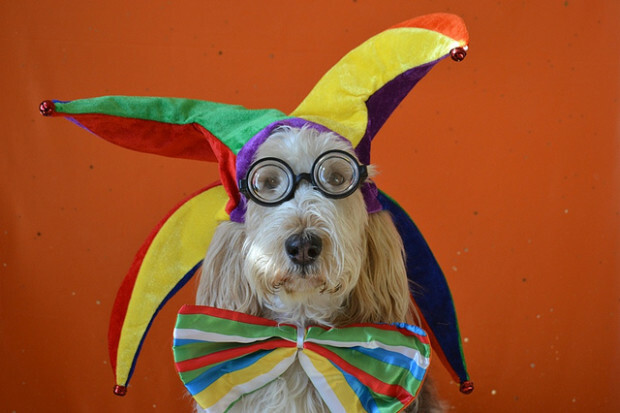 Just like with people, comfort is of the utmost importance—an unhappy pet could injure itself trying to get out of a costume, so please be kind and take your dog’s feelings into consideration when dressing up. If the worst does happen and your pet becomes lost, having him or her decked out with the most current form of identification will ensure that he or she is returned safely to your home. Make sure the tags are up to date and consider investing in a microchip if you haven’t already. If your pet is found, proper identification could mean a difference of days or weeks before your joyful reunion. 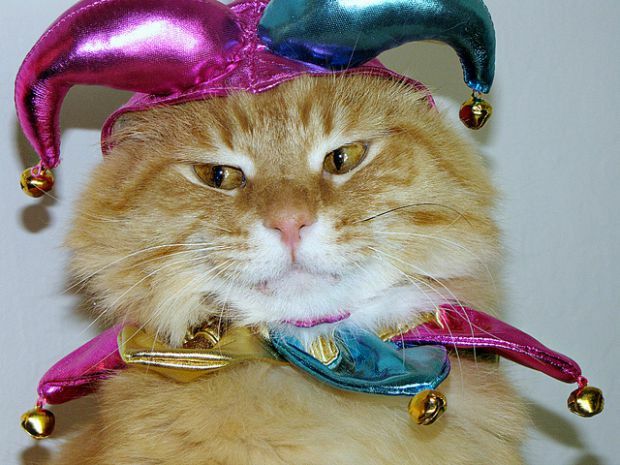 How do you plan to dress your pets this year and how do you plan to keep them safe? Share below!